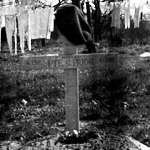 Private Joseph Birch died during operations in North Africa. Fusilier Albert Blakeman died during operations at Normandy. Lieutenant John Bonvin died in the opening hours of the Battle for Steamroller Farm at El Arousa, Tunisia. In March 1942 he took part in the raid at St Nazaire as a section officer of a demolitions team on board ML 443. 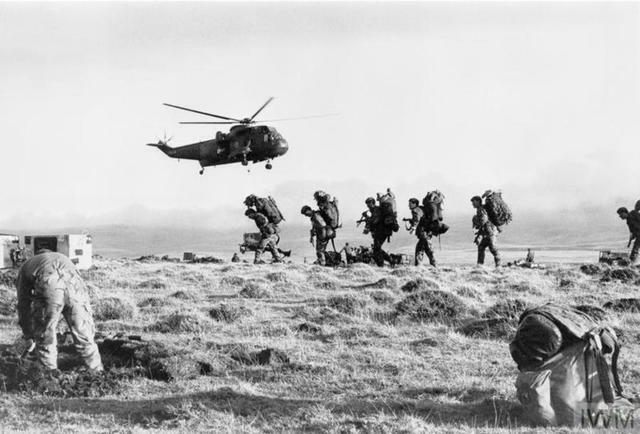 He was evacuated back to the UK as his ML was unable to land the Commandos on board. Lieut. Bonvin was a Swiss national entitled to British citizenship having been born in London to Swiss parents. 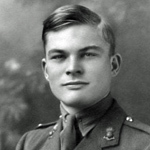 At the outbreak of war he renounced his Swiss citizenship and travelled to Britain to enlist. 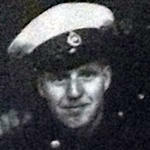 Lance Sergeant Horace Cartlidge died as a result of a grenade priming accident at sea. Gnr. 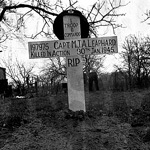 Thomas Pritchard, No 6 Commando, was injured during this accident and died of his wounds later. The accident occurred on the 9 Dec. 1941 whilst aboard the HMS.Prince Charles, late afternoon. The ship was being used for night time landings. Read more about CARTLIDGE, Horace C.
Private William Cringan died during operations in North Africa. At the time of his death his Commando were engaged in the Battle for Steamroller Farm at El Arousa, Tunisia. 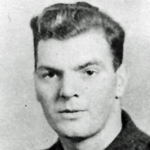 Lance Sergeant John Cunningham died during operations in North Africa. At the time of his death his Commando were engaged in the Battle for Steamroller Farm at El Arousa, Tunisia. Lieutenant Derek Dutton died in the UK  of wounds inflicted on D Day . His brother, Lieutenant Charles Llewellyn Dutton, 40RM Commando, also died in service 14 days earlier . 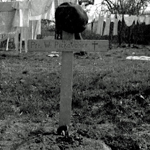 Private John Eltridge died in Germany. At the time of his death his Commando were engaged in fighting at the River Aller crossing. Private Harry Freestone died during operations in North Africa. At the time of his death his Commando were engaged in the Battle for Steamroller Farm at El Arousa, Tunisia. Private John Gallagher died in Germany. At the time of his death his Commando were engaged in fighting at the River Aller crossing. Sergeant Frederick Haley died during operations in North Africa. At the time of his death his Commando were engaged in the Battle for Steamroller Farm at El Arousa, Tunisia. Private John Hanson died during operations in North Africa. At the time of his death his Commando were engaged in the Battle for Steamroller Farm at El Arousa, Tunisia. Private Colin Harmer died in Germany. At the time of his death his Commando were engaged in fighting at the River Aller crossing. Sergeant Robert Harper died during operations in North Africa. 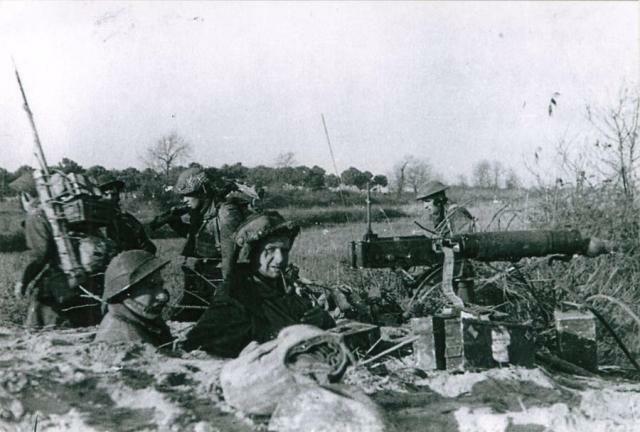 At the time of his death his Commando were engaged in the Battle for Steamroller Farm at El Arousa, Tunisia. Fusilier Charles Hay died during operations at Normandy. Lance Corporal Norman Hunter died during a mountaineering accident whilst training. Private William Kent died during operations in North Africa. Private Thomas Kilduff died in Germany. At the time of his death his Commando were engaged in fighting at the River Aller crossing. 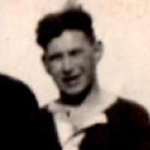 Sergeant John Lenihan died during operations in North Africa. Captain Alistair Mackenzie died during operations in North Africa. 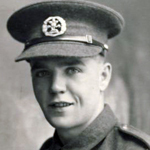 Corporal Edward McGee died during operations in North Africa. Lance Corporal Victor McNally died during operations in North Africa. 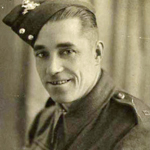 Sergeant Alexander Milroy died during operations in North Africa. At the time of his death his Commando were engaged in the Battle for Steamroller Farm at El Arousa, Tunisia. 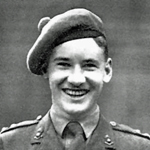 Private Harry Moore died during operations at Normandy. 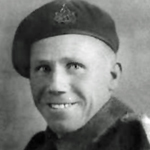 Fusilier James Murray died during operations at Normandy. Corporal Jack Needler died at Barossa Barracks Aldershot from a self inflicted gunshot wound. Enlisted 19th October 1939 at Hull. Wounded in action 20th August 1944. Certified copy of Death Certificate issued in the sub district of Aldershot. Army Book AB64 published on website WW2 Talk. Private Andrew Newham died during operations at Normandy. 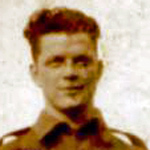 Private Kenneth Pearce died during operations in North Africa. At the time of his death his Commando were engaged in the Battle for Steamroller Farm at El Arousa, Tunisia. Gunner Thomas Pritchard died in the UK of injuries received in an accident whilst grenades were being primed on board the ship HMS Prince Charles. 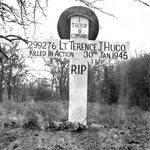 He was injured in the same grenade priming accident which killed LSgt H.C. Cartlidge, No 6 Commando. The accident occurred late afternoon on the 9th December 1941. The ship was being used for night time landings. 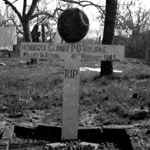 Gunner Kenneth Puttick died during operations at Normandy. Captain Alan Pyman MC died during operations at Normandy on D Day. He had earlier been awarded the MC for "gallant and distinguished services in N. Africa" whilst attached to Special Service troops. London Gazettes Supp. 36000, page 1996. Private Harry Ramsden died during operations at Normandy. Rifleman Charles Roberts died in Germany. At the time of his death his Commando were engaged in fighting at the River Aller crossing. Major Alexander Ronald died during operations in North Africa . He received a MiD for "gallant and distinguished services in the field.". Lance Corporal Stanley Rothwell died as a result of injuries received in a training accident when a grenade accidentally exploded. 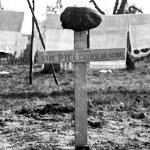 Private Grahame Rowe died during operations at the crossing of the River Rhine opposite Wesel. Private William Shakespeare died by drowning in the UK. Private Alexander Simpson died during opertions at Normandy on D Day. Lieutenant Bernard Skinner died in a traffic accident. Capt. Wylie also died of injuries in this accident. The 6 Cdo War Diiary for December 1943 details that his commando truck was going to Brighton Station and was hit by a Naval truck with several injured. Lt B.G.Skinner was sent to Royal Sussex Hospital,where he later died. Lance Corporal James Standerwick died during operations in North Africa. Lance Corporal Lawrence Sullivan died during operations at Normandy. Lance Corporal Gwyn Thomas died during operations at Normandy. 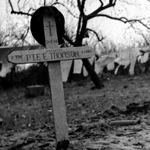 Lance Corporal George Thompson, 1 troop, died during operations at Normandy in the area of Le Plein. Lance Corporal Robert Virgo died in Germany. At the time of his death his Commando were engaged in fighting at the River Aller crossing. Sergeant Frederick Walker died during operations at Normandy in the area of Bavent and the River Dives. The details known by this Archive of this individual are limited at the present time. 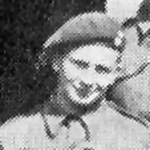 Private Frederick Watton died during operations at Normandy. Lance Corporal Henry Wetherald died during operations in North Africa. At the time of his death his Commando were engaged in the Battle for Steamroller Farm at El Arousa, Tunisia. Private Albert White died by drowning during a training exercise. Lance Corporal Donald Wilson died during operations at Normandy. Driver Leslie Wilson died in Germany. At the time of his death his Commando were engaged in fighting at the River Aller crossing. Private Sam Wilson died during operations at Normandy. Lance Corporal Arthur Wright died during operations in North Africa. At the time of his death his Commando were engaged in the Battle for Steamroller Farm at El Arousa, Tunisia. Captain William Wylie died of injuries as a result of traffic accident. The 6 Cdo War Diary for December 1943 details that his commando truck was going to Brighton Station and was hit by a Naval truck with several injured. Lt.